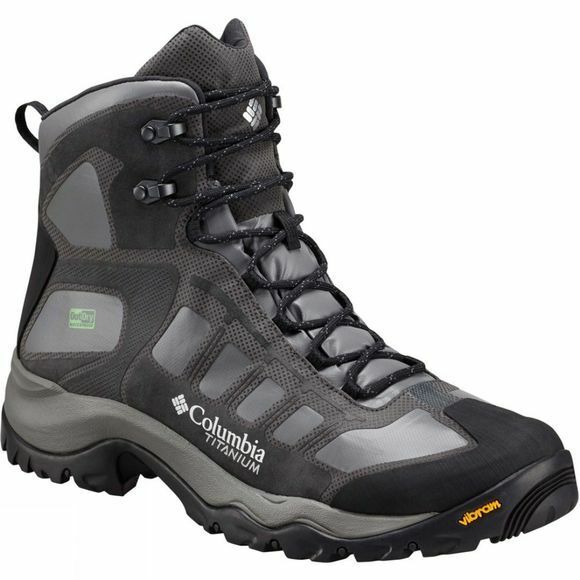 The Mens Daska Pass III Titanium ODX ECO Boot from Columbia is at the forefront of earth-smart footwear with these hiking boots made of recycled components, complete with OutDry Extreme ECO sustainable waterproof breathable solution. These Columbia boots have got it all: protection against the elements, comfort, support, traction and durability so you can hike from dawn to dusk. 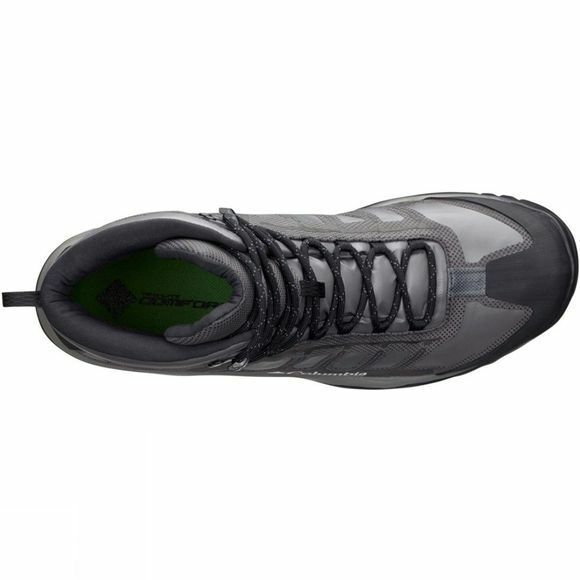 The midsole has torsional stability and long-lasting comfort. The legendary high traction Vibram outsole provides a reassuringly tenacious grip on various terrains and is partly made of recycled components.